Motion video backgrounds and video clip slides share some similarities, but serve different purposes when making a video. Motion video backgrounds are video clips that have been added to the background of a slide, you can tell if the slide has a motion video background by the video icon in the top right corner of the slide. The video will only play for the duration of the slide. So if you have a 30 second video clip as a background, and the slide is only set to show for 5 seconds, the video will only play for 5 seconds before moving to the next slide. A motion video background will play the video in the background of a slide, which means you will see the text and hear the voiceover while that slide appears on the screen. 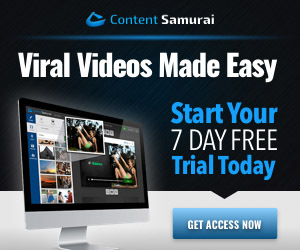 Video Clip Slides are entire videos that play between your slides in Content Samurai. 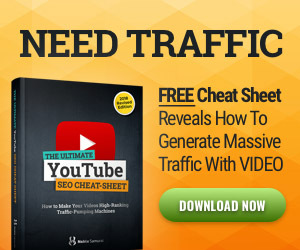 This means when you play your video and it gets to where your video clip is, the video clip will play in its entirety – if it’s a 10-minute clip it will play all 10 minutes before moving to the next slide in your deck. Video clips can be added by clicking the ‘Add Video Clip’ icon from the buttons you find before the first slide, between each slide and after the last slide. Unlike motion video background, you can play the uploaded clip to preview it in your slide deck. You can also use the button in the top left corner of the slide to turn off the background music of this video while the video clip plays, which is very useful if the video clip you’ve uploaded already has background music.